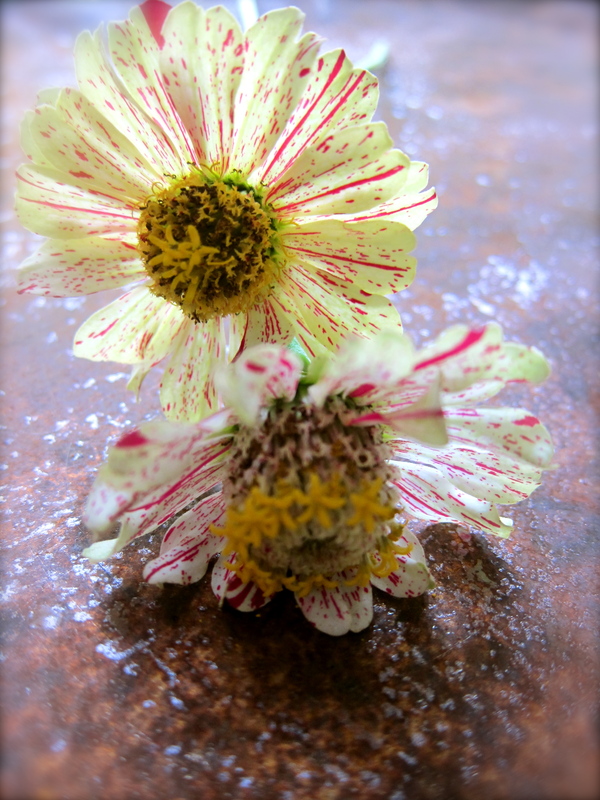 Right now, this very minute, this week, today I am a bit obsessed with Zinnias…as flowers and as edible flowers…My very first flower drawings as a child were of this very simple multi-petaled flower….a Zinnia. 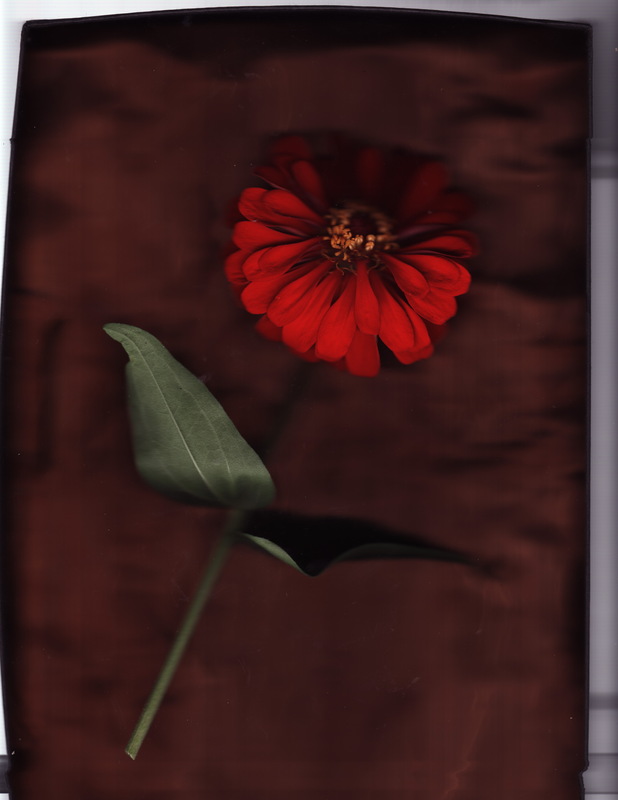 I did not realize this until a few years ago, but in retrospect I was always drawing Zinnias, which I now grow and think of as the most simple, beautiful flower there is. 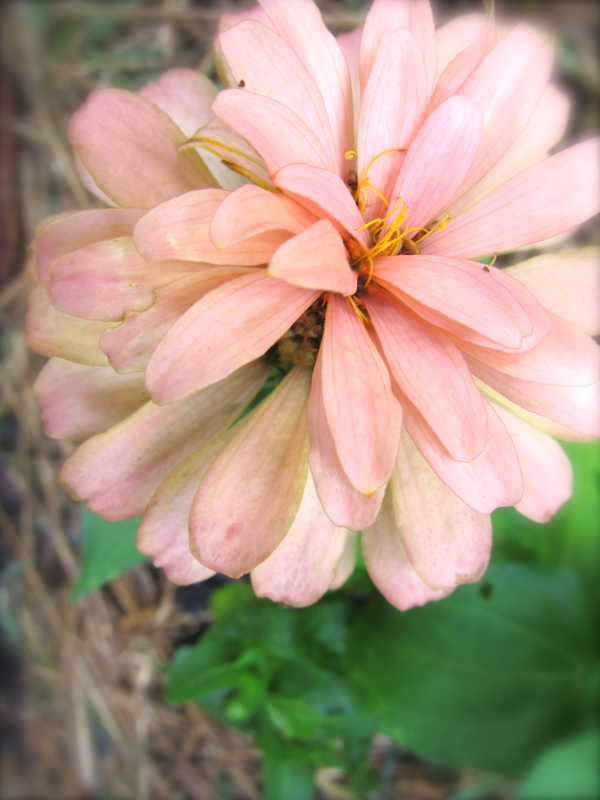 So this is my “ode to the Zinnia”. 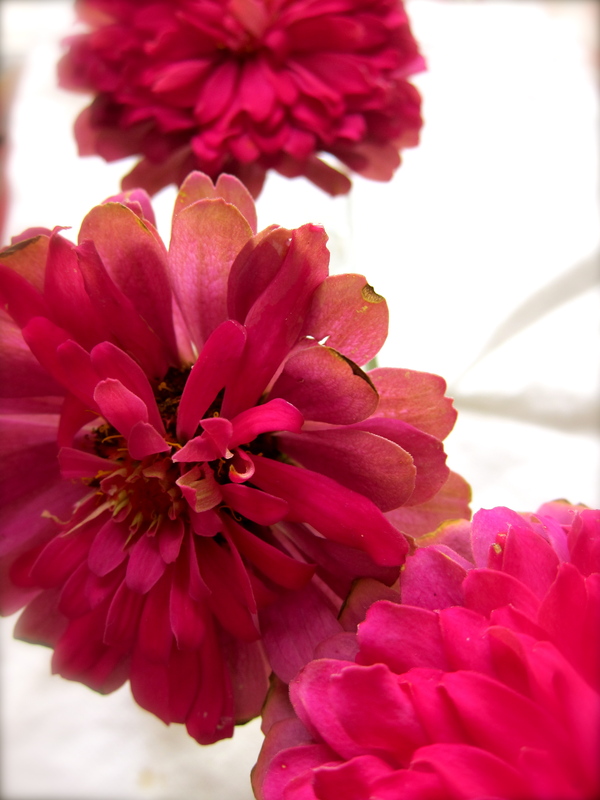 Zinnias from my garden 2009. A very fine example. 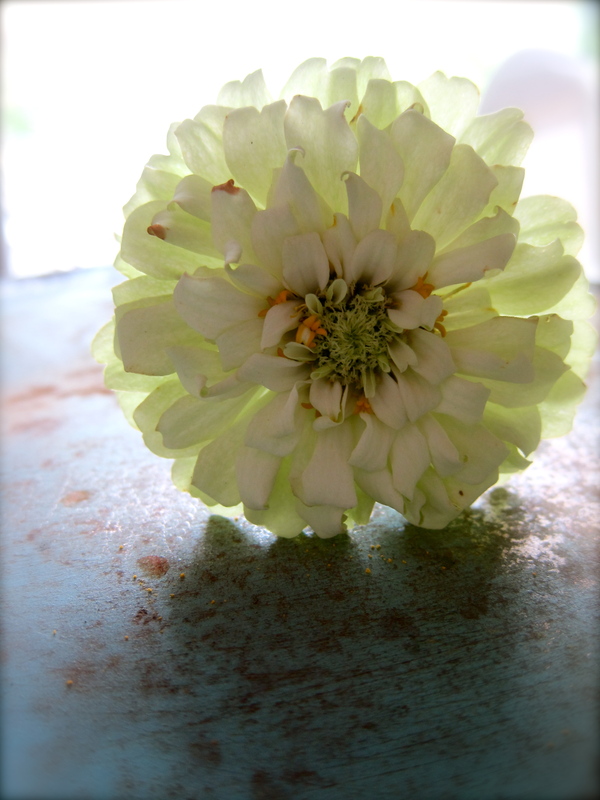 After some online investigation I found out that like the blossoms of Marigolds, some Zinnia blossoms are edible. 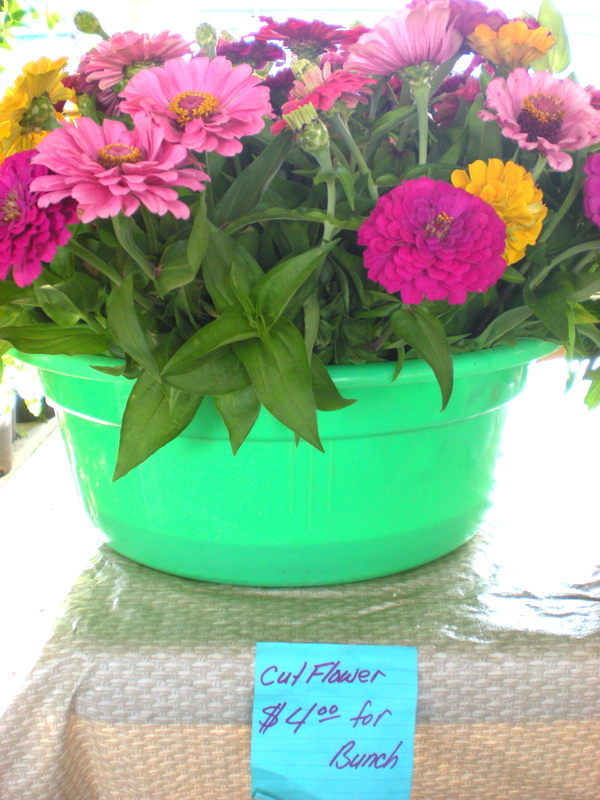 I grow my Zinnias from seeds and do not use any chemicals on the plants so they are quite edible and add a very beautiful touch to a salad or cheese appetizer. 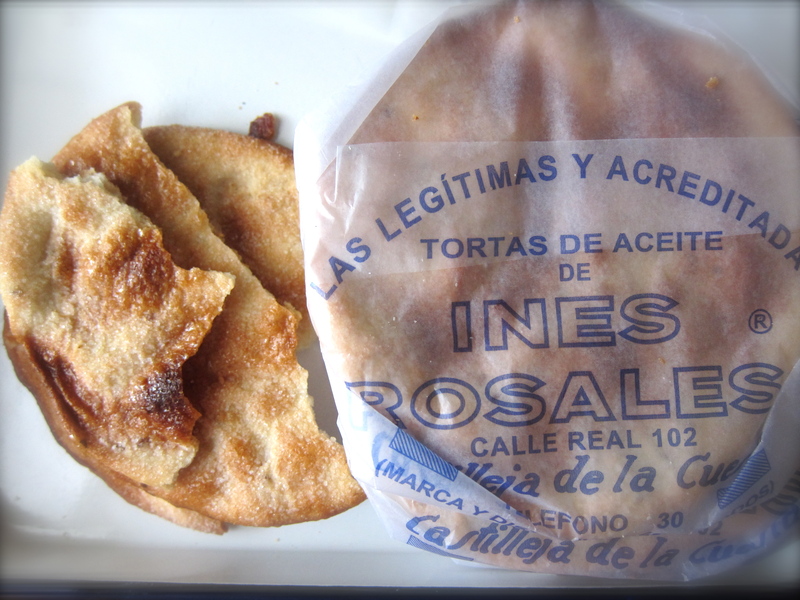 Start with a package of Tortas de Aceite de Ines Rosales…I buy them at my local Whole Foods Market. These crispy, sweet, yet savory crackers are not like anything else…they are quite wonderful and special. 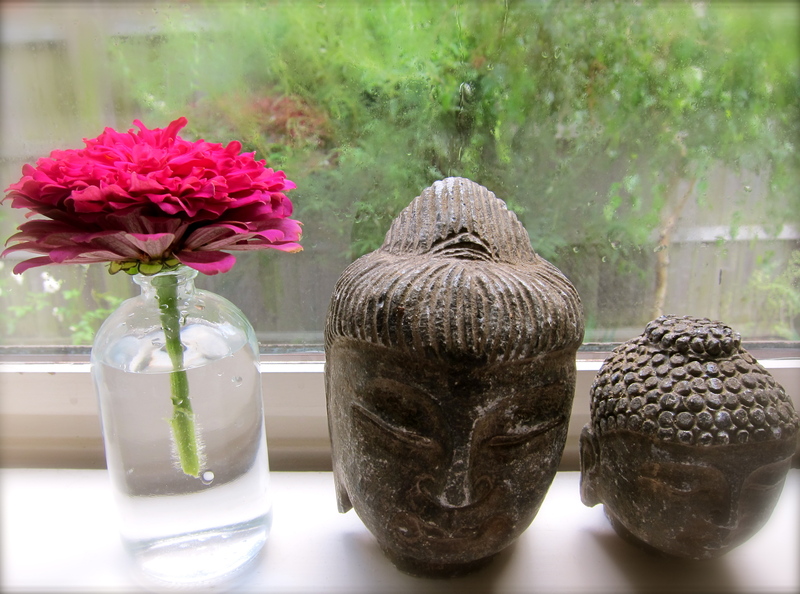 I then pick some of my organic Zinnias, rinse then under running water and pat them dry. 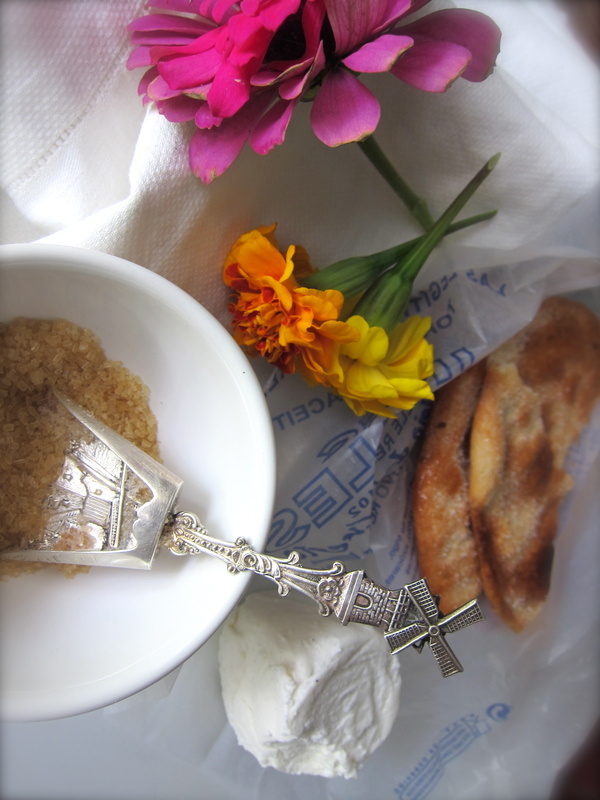 I spread some softened goat cheese on the Ines Rosales tortas, sprinkle some Zinnia petals on top and drizzle with Wisconsin Maple Syrup. 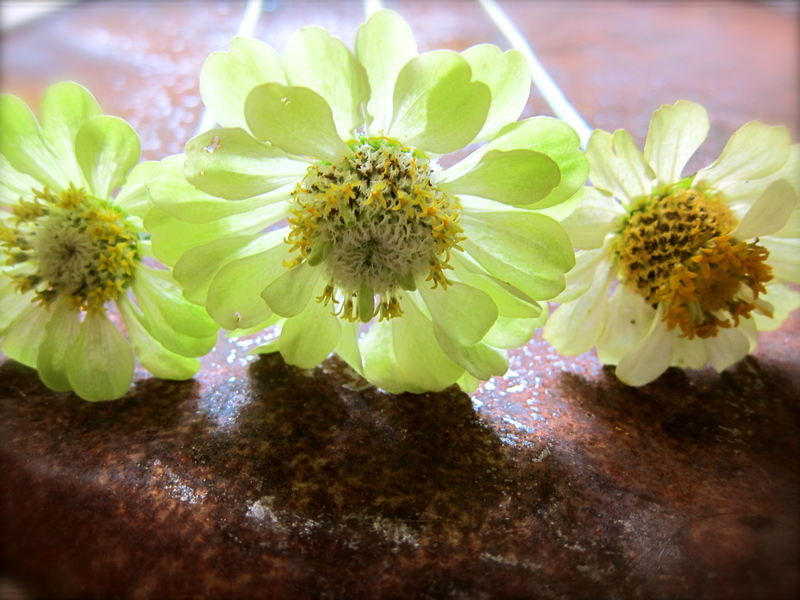 The Zinnias did not really make a significant flavor profile change, but they did add texture and an element of beauty that made this simple snack more wonderful! 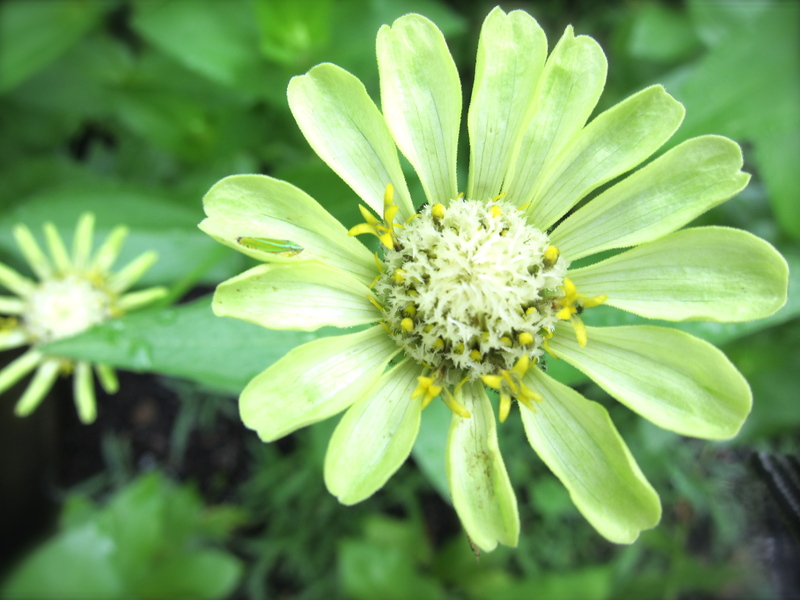 These are some of the Zinnias I am growing right now in my garden: State Fair Mix, Uproar Rose, Magellan Cherry, Magellan Mix , Limes & Whites…these are the most simple flowers to start from seeds directly in your garden and the pleasure of growing them is immense. 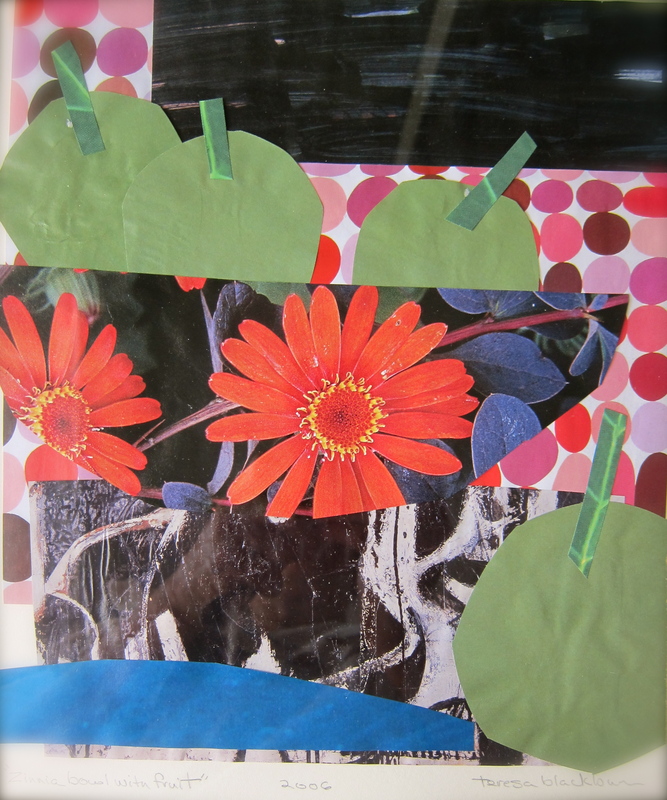 I have even honored my favorite blossom in this collage……. 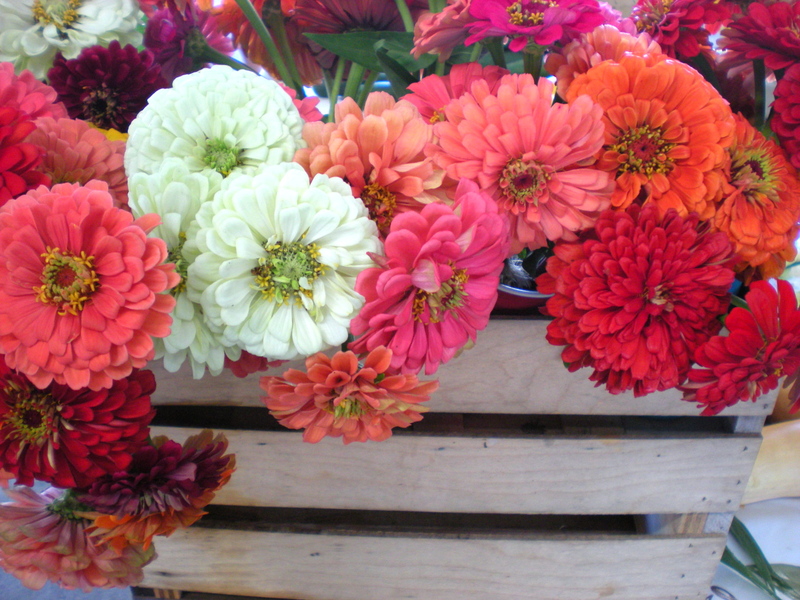 Farmer's Market Santa Fe Zinnias. 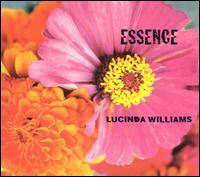 One of my favorite commercial uses of Zinnias was the Lucinda Williams “Essence” CD cover a few years ago. 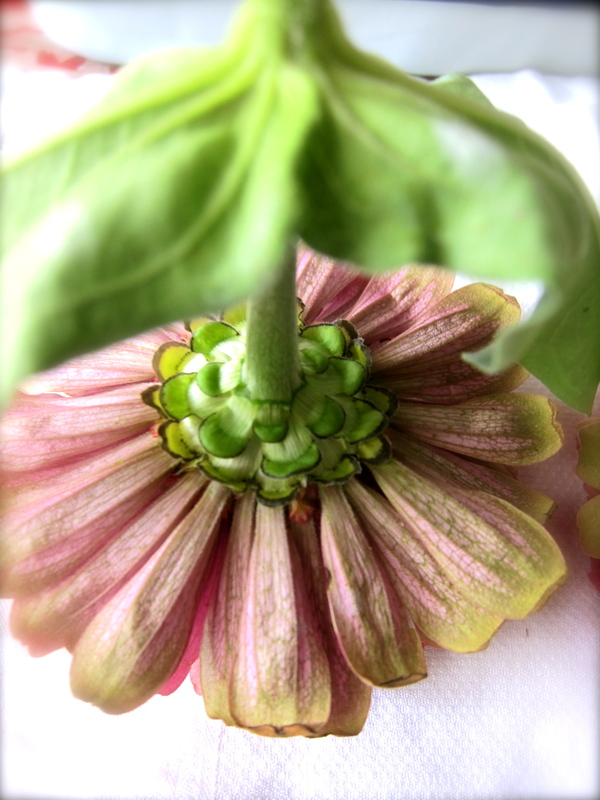 The Zinnias on the cover made a definite statement about the music inside. The music can be melancholy but is great to listen to when you are stuck inside on a hot, rainy summer evening with a good book and not much else to do. 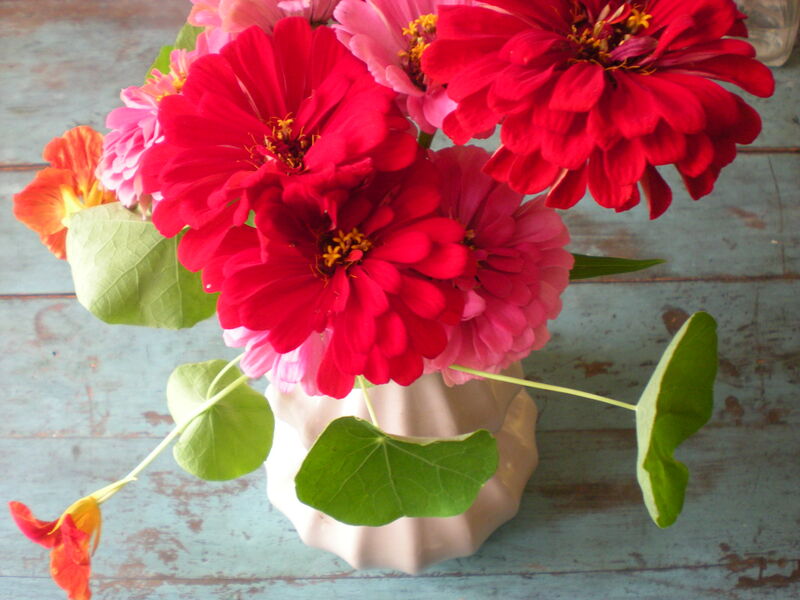 Zinnias are the most easy to grow of all annuals and with our hot, humid Tennessee summers they are the perfect cut flower. 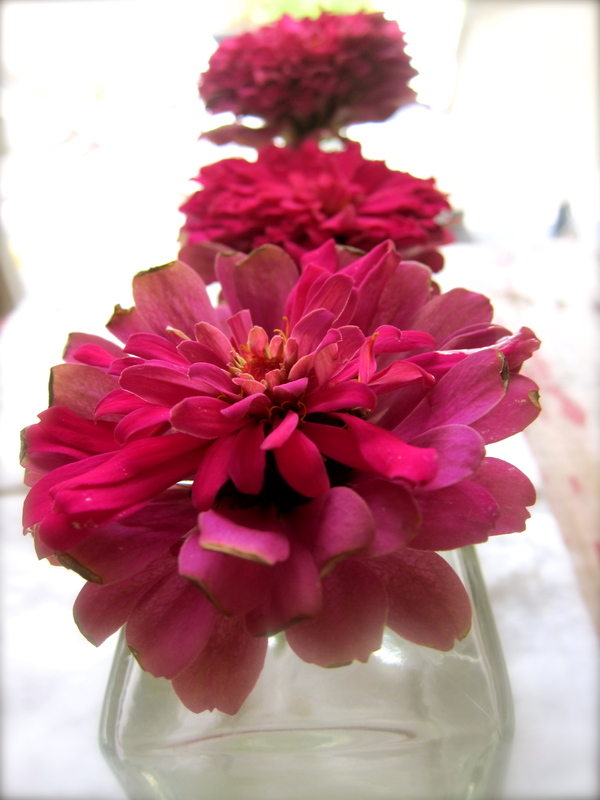 They bloom from early summer to mid-October and the more you cut them, the more they produce blossoms. They are the flowers of childhood drawings come to life. 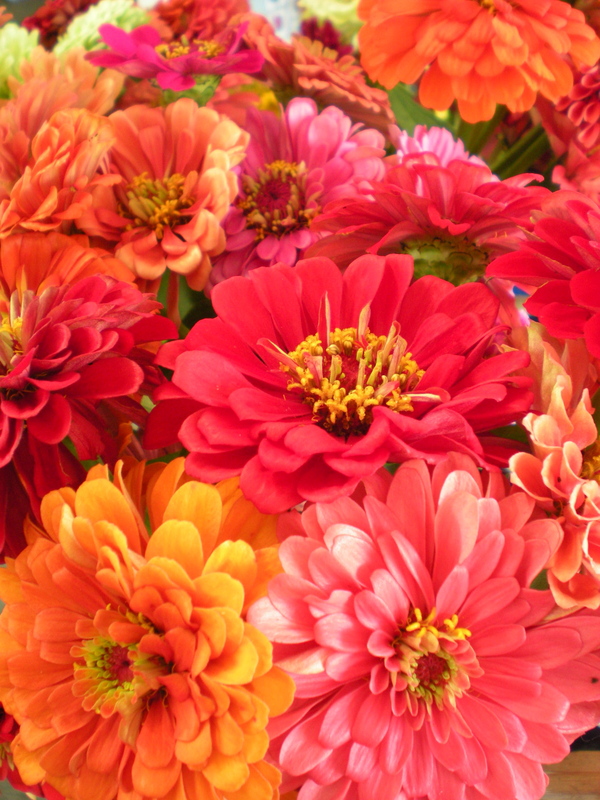 Zinnias are popular garden flowers, usually grown from seed, and preferably in fertile, humus-rich, and well-drained soil, in an area with full sun. They will reseed themselves each year. 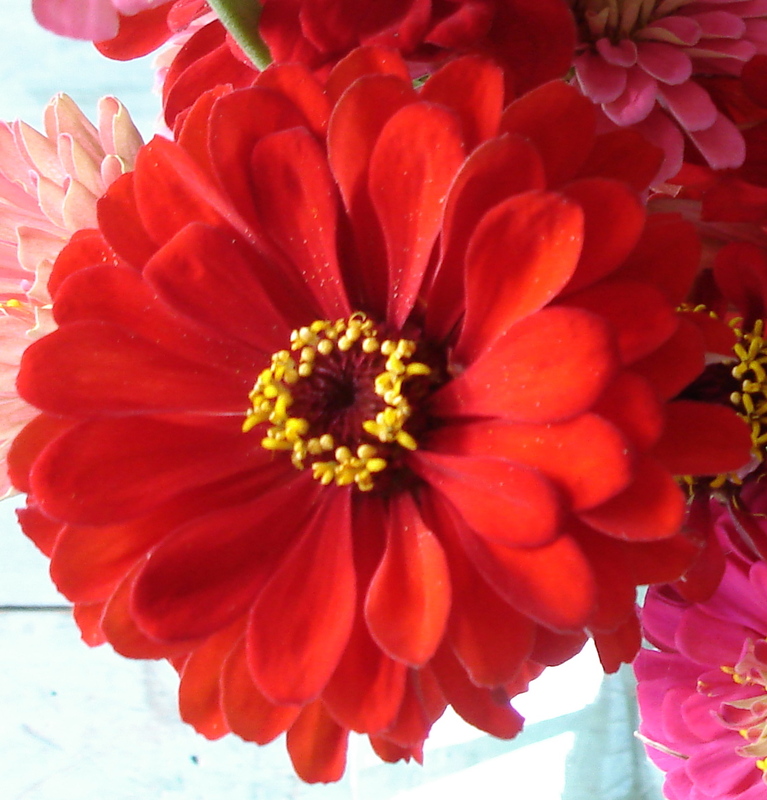 Over 100 cultivars have been produced since selective breeding started in the 19th century. 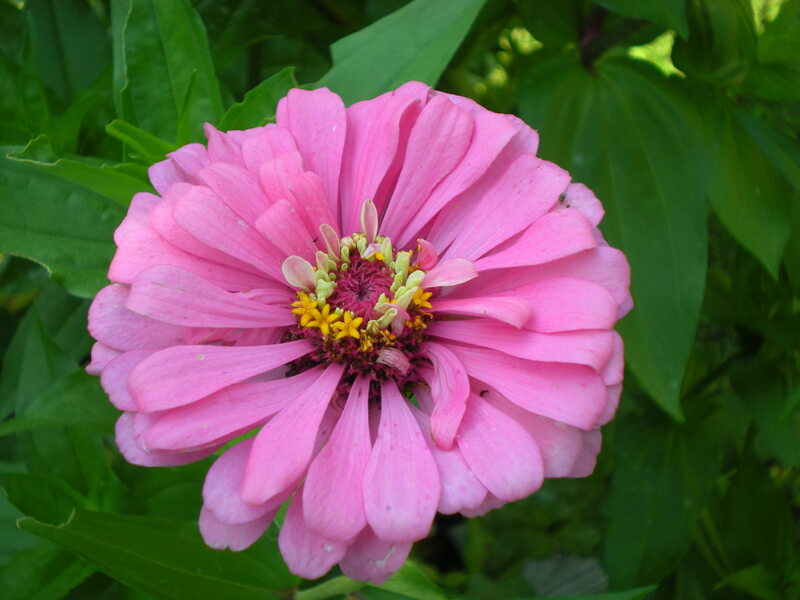 Zinnia elegans, also known as Zinnia violacea, is the most familiar species, originally from Mexico and thus a warm-hot climate plant. Its leaves are lance-shaped and sandpapery in texture, and height ranges from 15 cm to 1 meter. The name of the genus derives from the German botanist Johann Gottfried Zinn (1727–1759). < Previous How the plum got jammed! Next > July 4th, 2010…. This is gorgeous! Of course, I’m most compelled by the olive oil cracker/cookie thing which BTW, I learned last year at the Fancy Food Show are still made by hand as they were decades ago. The importer had excellent b/w photos of women making them but couldn’t find anyone who could talk more about the origins. So yet another brilliant story was lost. 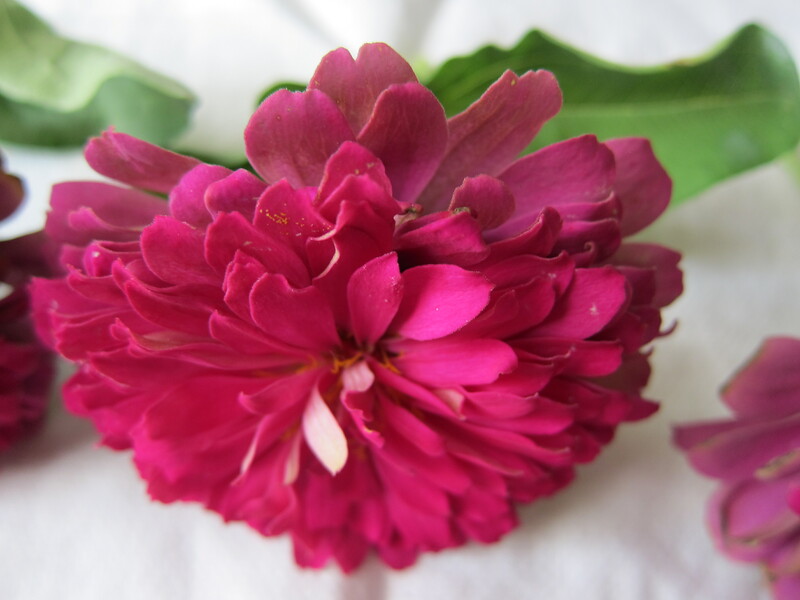 Please make me one of those crackers with zinnia when I come to visit. Firstly I would like to congratulate you on your wonderful recipe photo! I work in Inés Rosales and we had the pleasure to read and see your recipe! We´re working on marketing promotional, and I was wondering if we can use one of your photo (the one with Ines Rosales tortas) for our export dossier. Of course, I will inicate your name and the web page, if you want. 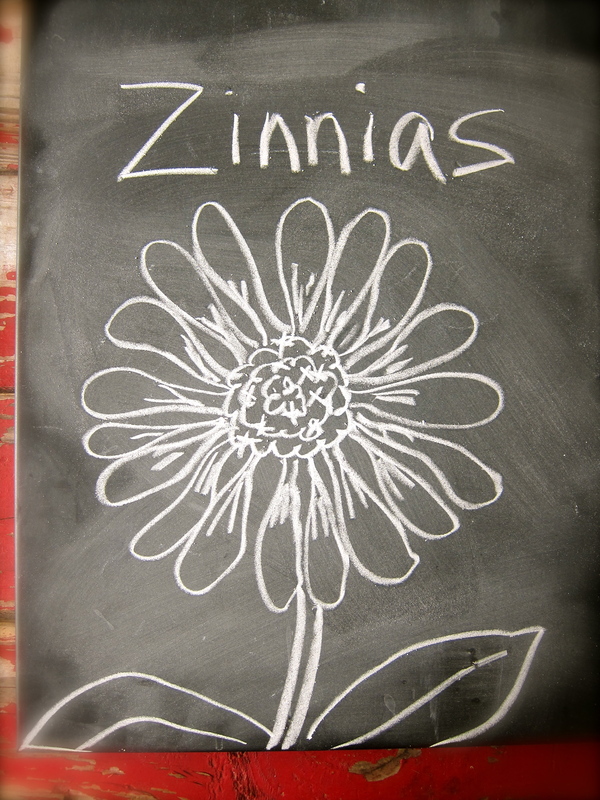 a lovely ode to the zinnia; I especially love your drawing. I didn’t realize that they were edible too. 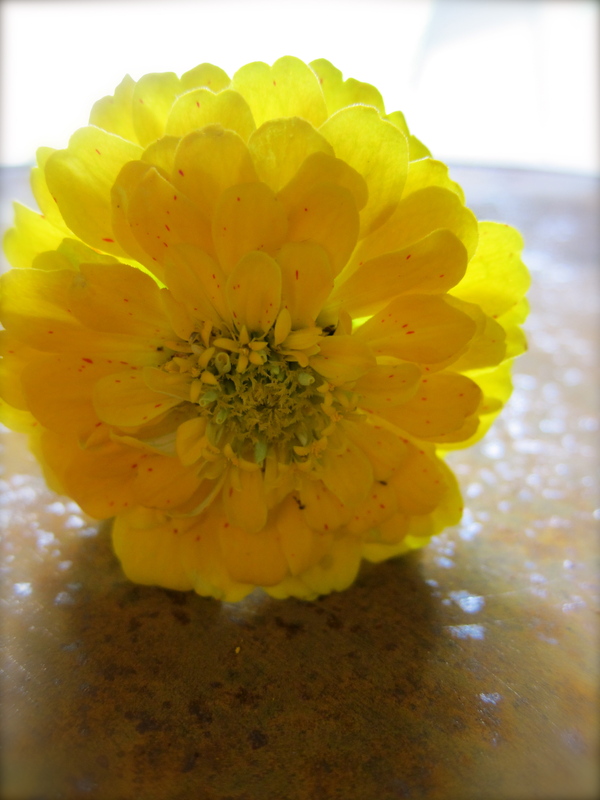 Last year I grew Calendula flowers, whose edible petals made a stunning garnish in salads and on goat cheese. 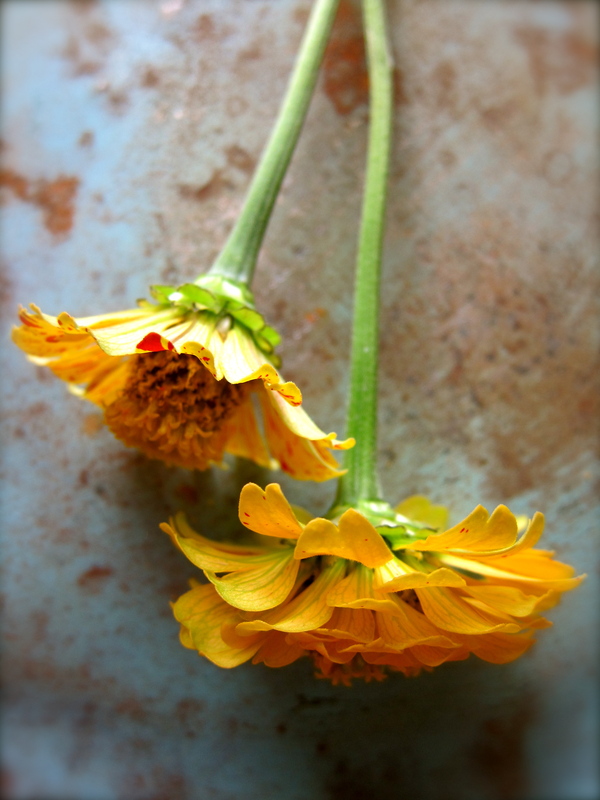 Like your zinnias, the taste was subtle, but the pop of color made such a difference in the enjoyment of the dish. First, we eat with our eyes…but you know that! Nance, well put my friend. 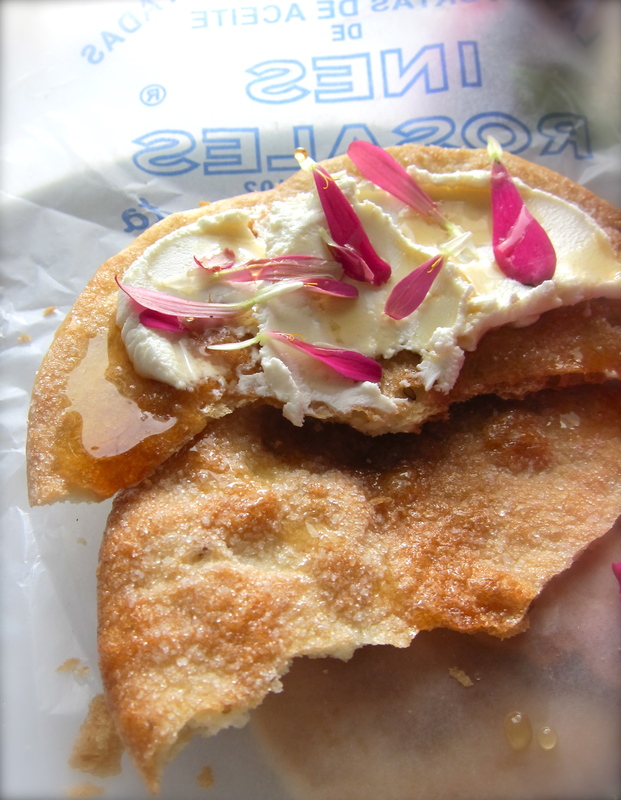 Pingback: “Falling in Love…Ines Rosales Tortas with Dark Chocolate & Pistachios” | "food on fifth"